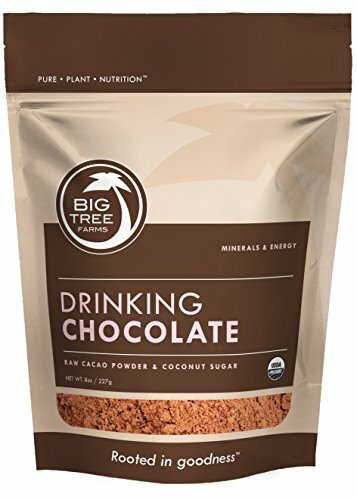 BIG TREE FARMS' Raw Drinking Chocolate Offers a Healthier Hot Chocolate Alternative, Packed with Plant Based Compounds, as well as, Vitamins and Nutrients, more so than Roasted Cocoa Drinks. 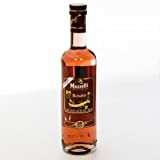 PACKED with Natural Compounds called ANTIOXIDANTS - More than Blueberries, Pomegranate, Cranberries and even Red Wine which Provides Natural Energy and is Feel-Good Mood Balancing! PROMOTES GOOD CARDIOVASCULAR HEALTH: Cacao is one of the Best Sources of Natural Magnesium which is Critical for a Happy and Healthy Heart. Big Tree Farms’ Truly Raw, Drinking Chocolate is the most concentrated form of high-energy Cacao. And because it’s cold-pressed at 115F/46C, the flavor is extremely rich and complex, making it one of the most incredible tasting chocolate products you will ever experience. One taste is worth 14,000 farms! That’s how many farming partners Big Tree Farms has depending on them to do the right thing. By purchasing their delicious and beautiful Raw Drinking Chocolate, you’re partnering with them to sustain the farmers, the land, ancient traditions and the environment. Raw Drinking Chocolate is a delicious dark chocolate source of antioxidants, magnesium, iron and fiber, and is one of the most phytochemically diverse superfoods. It is a more powerful source of nutrients than roasted chocolate. Test results show that Big Tree Farms’ cold-pressed Raw Drinking Chocolate contains over 2x the ORAC value as conventionally tested Cacao. Big Tree Farms’ Raw Drinking Chocolate is a nutritious and delicious blend of cold-pressed cacao powder and coconut sugar, bringing the sweet warmth of hot chocolate full circle by creating a true source of delicious nourishment. Scoop 3 Tablespoons into a mug, add warm or hot water and enjoy! Perfect in the morning in place of coffee or tea or in the afternoon for a little pick-me-up. Also great in smoothies, as a dessert topper or for fast raw “baked” goods.